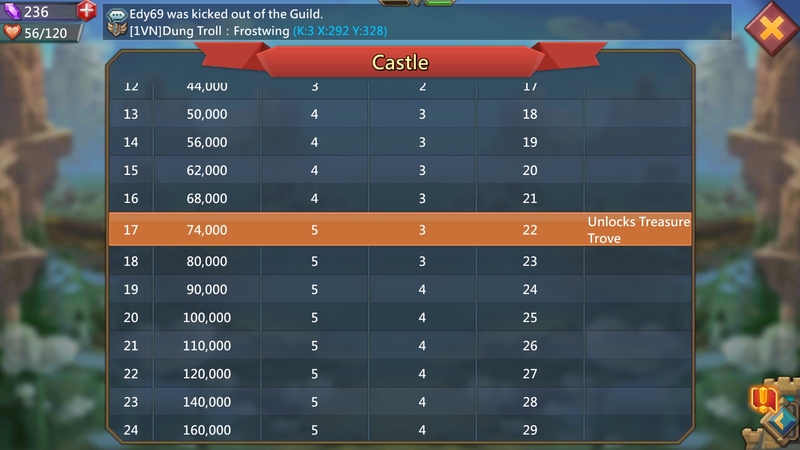 I want to build treasure trove, at this time my level of castle is 17. 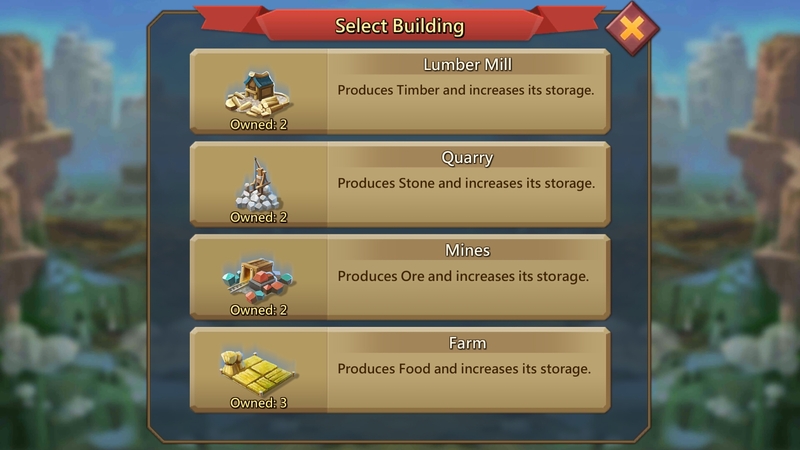 As i know when the level 17 of castle we can build the treasure trove building. But i cant see anythings to build. 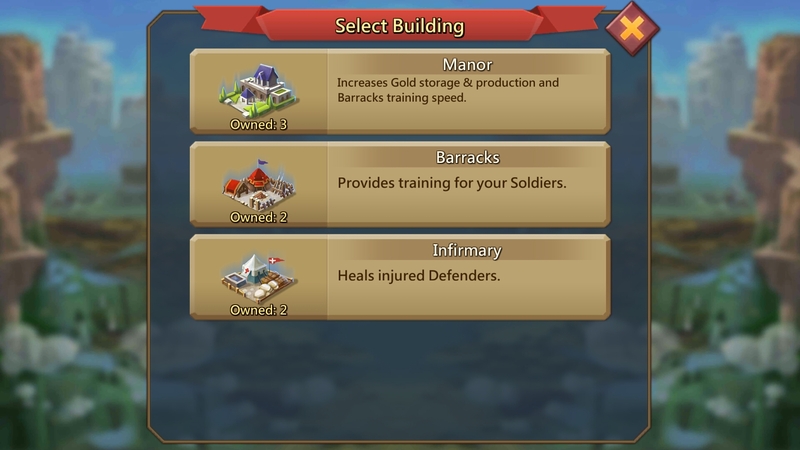 What is the use of allowing us to join the guild from other kingdom if we cant allow us to transfer to different kingdom which our guild is residing? Join kayo sa guide ko para sa mga pinoy lang to qualification just be loyal . Question, does it reduce time by 1% or 1 minute? Have been confused about that lately. Rallies: Rallies use the talents and tech for the initiating player only! DO NOT just begin a rally on a whim and get all your friends' troops killed. Be responsible with that trust. Tool for war, and communicate with your buddies how you are geared. If you tool for Cavalry/Ranged, be sure to say that, or else you may have someone with infantry get upset that they suffered heavier than normal losses. Reinforcement: As with rallies, it will use the talents and tech of the host player. Be wise when reinforcing, and be considerate when asking for reinforcement! Garisson: Unlike the others, Garisson size isn't limited by host player, and the contributing player CAN send their heroes. The downside is that only one player can garisson, and the garisson battle is completed SEPARATE and FIRST. Join my guild! Kingdom 24, Guild name D0D. Have to have at least 8 million might.